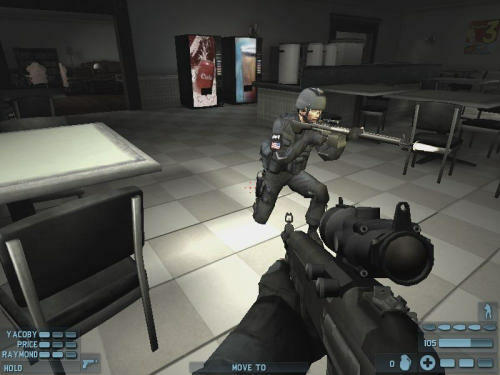 Gameplay is organized around a series of missions in which you must plan and execute precise assaults on terrorist installations. As your mission advances, you will uncover a larger and more sinister conspiracy, where the fate of the world hangs in the balance. And unlike other games, if you make a mistake, you're gone - because in the real world, one shot counts. To carry out a mission, the player plays 'Six' the leader of the team.